And so we finally get to the introduction of Janet Van Dyne, the Wasp. And what a tale it is! After over 100 pages of mostly mundane Ant-Man stories, the levels to which this story succeeds is nothing less than astonishing. In part, this may be due to the increased size, as the feature is allotted 18 pages this month instead of the usual 13 - and it makes the most of the them. 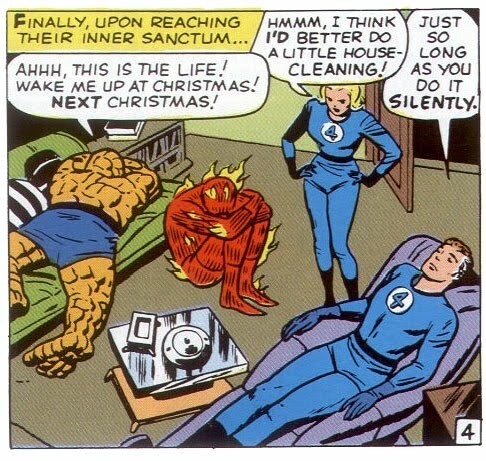 In fact, when thinking of the device of using one story to tell what's really two, with the flashback origin immediately followed by the monster menace du jour, it's hard not to think of Fantastic Four #1. That may be a lofty comparison with which even the greatest Ant-Man story can't compete ... but the fact that it's even in the conversation is proof of its high marks indeed. of crime has many tentacles..." Ernie Hart's effort is more a success! 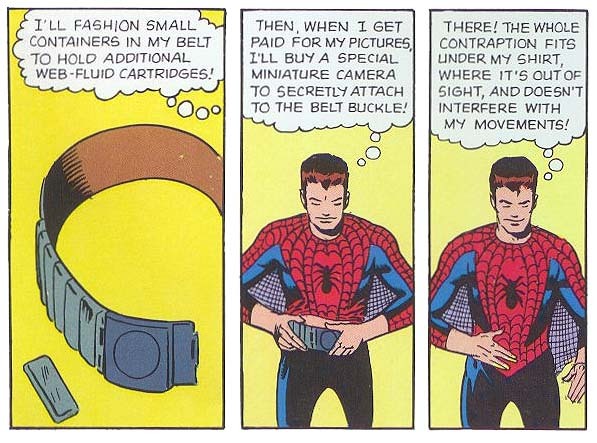 Had I known ahead of time that this story was going to feature "the secret origin of Ant-Man", I would have laughed. After all, we saw Hank Pym when he first discovered his shrinking formula. And we saw his next story, when he donned super-hero garb, used his cybernetic helmet to talk to the ants, and took down his first Commie spies. What's left to tell? I would have wondered, when the answer is, in retrospect, fairly obvious: Though he was a superhero, he wasn't a Marvel hero. He had no tragedy, no melodrama, no painful beginnings ... and, as so many of his stories to date had shown, no excitement. Until now, when a daydream sends his mind back to the time he visited Hungary with his new wife, Maria. She and her father had once been political prisoners of the state, but they had fled long before to make a new life in America. Sadly, Communist grudges are not easily forgot, and Maria is kidnapped and killed on their honeymoon while her father is similarly assassinated by agents back in the US. 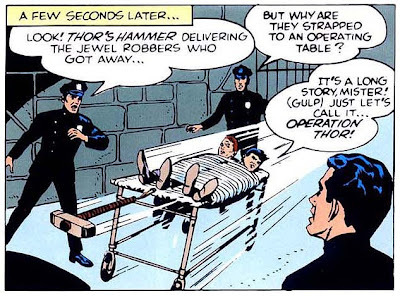 And so Pym vowed to one day find the men responsible (and wage war on the criminal element in the meantime), thus providing the drive to develop his shrinking formula in the first place. 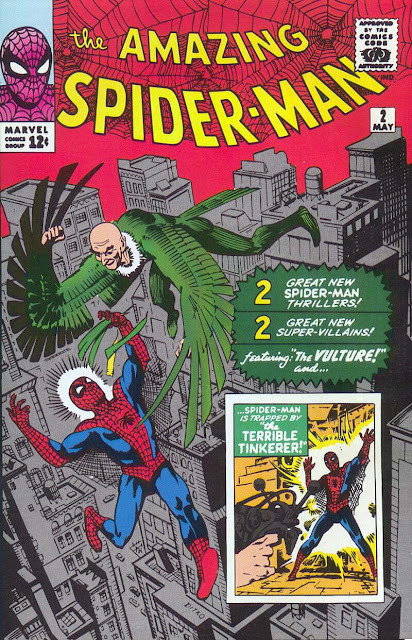 Oddly enough, this unresolved plot thread wouldn't be touched on again until twenty-five years later...! Hank Pym swears vengeance. Then forgets all about it. After his reverie, Pym starts to think about how effective he's been on his own, and how much better he might be with a partner. 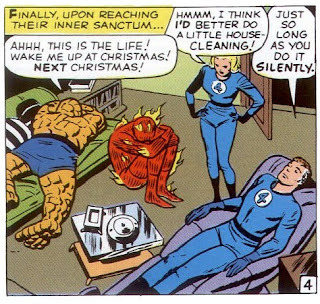 Enter society playgirl Janet Van Dyne, who - despite an uncanny resemblance to his dead wife - immediately gives Hank the impression of a spoiled, flighty child. All that changes, however, when her scientist father is killed by a creature from beyond the stars, and she passionately implores Dr. Pym to help bring his murderer to justice. And suddenly we've got so much: A partner for Ant-Man - someone he can talk to besides his loyal insect army. An instant chemistry between the two, though Pym (of course) feels he must resist. And a spontaneous, energetic spirit, to contrast with his upright, scientific one. Janet Van Dyne swears vengeance. And gets it. and bystanders fleeing the scene. You really couldn't ask for a more perfect panel! 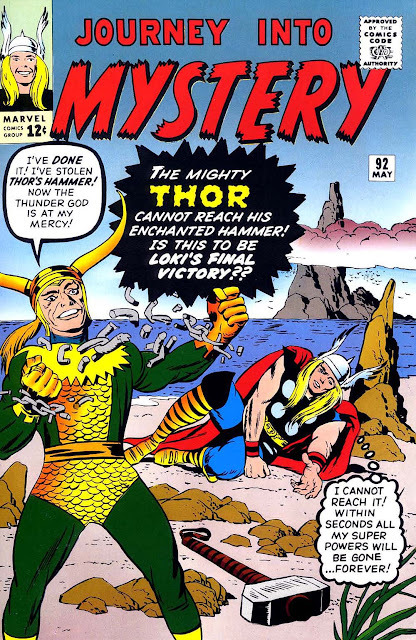 The first thing most comic readers will notice from the cover is that this foe isn't the Master of the Mystic Arts they're familiar with. And it's true: while he may share the name of Dr. 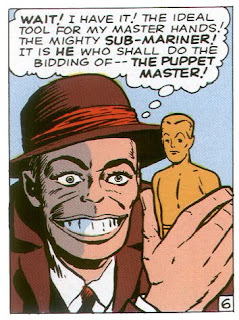 Strange with the soon-to-be-seen Sorcerer Supreme, it's otherwise an entirely different character. This isn't too strange for the time - the conventional wisdom of the day was that kids were into comics for a relatively short period, just a few years - and thus reusing plots, or character names, was seen as fair game. After all, who would be likely to remember? 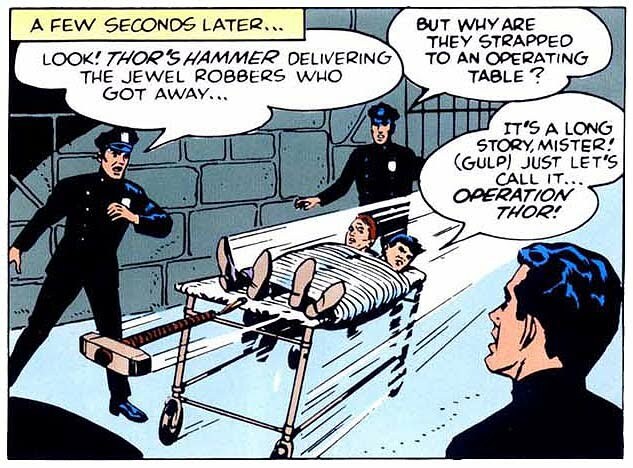 What is unusual is the surprisingly short amount of time in this particular case, as the mystic Doctor Strange would make his heroic debut just two months later. Carrying on from last issue, we get another couple of pages fleshing out the character of Tony Stark, both in and out of his Iron Man suit. What's so impressive about these rapid-fire vignettes - three or four per page - is how many of them seemingly could have been stories in their own right, as we see Iron Man battling gangsters, stopping Commie spies, and frightening off alien invaders. And when Tony's latest flame asks him about settling down, he explains that he could never be an attentive husband due to all his scientific contributions: upgrading the artillery on naval battleships, developing an instantaneous flesh-healing serum for use in surgeries, or inventing a new alloy to strengthen the radiation shielding needed for space exploration. In addition to being a hell of a way to dodge commitment issues, it really is admirable to see a Marvel hero using his talents not just to battle fantastic foes, but to benefit all mankind. 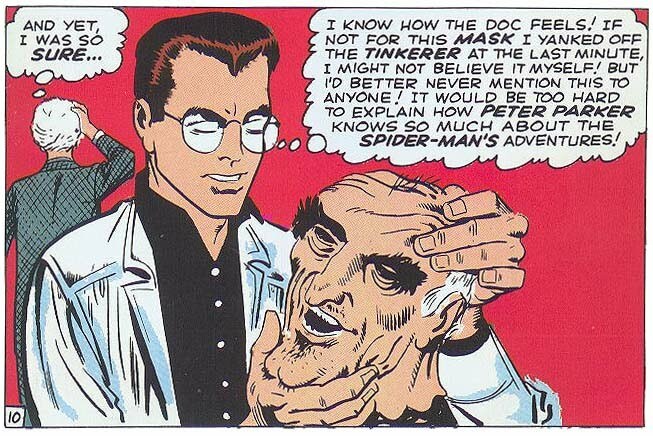 Of the many times we've seen The Fantastic Four's Reed Richards use his enormous intellect, we've rarely seen occurrences like this! In this story, Stan & co. set up something of a foil for Tony Stark, in that Strange is another scientific genius - albeit one who uses his talents for personal gain and the ambition of world conquest. He invents 200-megaton bombs with which he threatens the world leaders, a force field to protect the base containing him and his followers, and an electronic frequency which can control Iron Man himself. And he's even been given a daughter, Carla: sweet, sympathetic to Iron Man, and saddened at the direction her father's life has turned. So why, despite the deliberate choice of having the villain get away at the end, is he never seen again...? Tony Stark: The only superhero to be saved by a couple of D-cells.